About 80 percent of Americans who live in houses and apartments say that a central air-conditioning and heating system is a nonnegotiable feature. Millennials are willing to spend the most extra money for a dwelling with a climate-control system. A private outdoor space and an in-unit washer and dryer are also high on Americans’ list of top property amenities. While most homebuyers are willing to sacrifice some amenities to gain access to top-performing schools, there are some features that are considered must-haves. That’s according to a survey conducted by Porch.com, which found that 79 percent of apartment dwellers and 82 percent of those who live in a house believe that a central air-conditioning and heating system is essential. Those results dovetail with another recent Porch.com survey, in which nearly 80 percent of Americans said that air conditioning was their most preferred feature in a home. The importance of climate-control systems persists regardless of a home or apartment’s location. Nearly 90 percent of Americans who live in a suburb say that central air conditioning and heating is the most essential home feature, while 77 percent of those who live in rural areas and 72 percent of urbanites think the same. Both apartment dwellers and people who live in a home are willing to pay extra to keep the temperature at a comfortable level, a pattern that spans all age brackets. Millennials are willing to spend the largest premiums for central air conditioning and heating: $6,194 for those who live in a home and $101 per month for apartment dwellers. After a climate-control system, a private backyard or patio is considered the second most crucial single-family home amenity, cited by 58.5 percent of those polled. Again, millennials are willing to spend more than other generations on outdoor space: $7,009. On the other hand, Americans who live in apartments pointed to an in-unit washer and dryer as the second most essential feature, with 62 percent pointing to that amenity. Millennials are willing to tack on $84 per month for a washer and dryer, about $15 to $20 more than baby boomers or Gen Xers. And while Porch.com’s survey focuses on more traditional home amenities, buyers are also willing to pay premiums for the latest and greatest features. 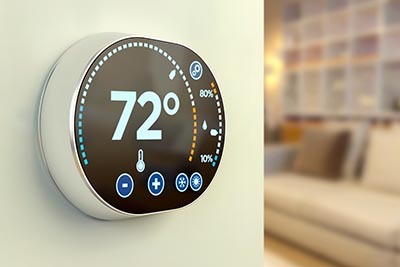 Last month, John Burns Real Estate Consulting released research that found that 60 percent of buyers would spend extra for a home that has high-tech features like smart-phone-controlled thermostats and lighting-automation systems.